The Car Wash Operation (Operação Lava Jato) hit the top of the U.S. Department of Justice (DOJ) list of FCPA penalties paid by companies involved in corruption schemes. Odebrecht and Petrobras alone paid $2.6 billion and $1.8 billion, respectively, to regulators for their roles in massive corruption. However, the Car Wash Operation also hit companies from Singapore, the Netherlands and the U.K., and it reached more than 30 countries. Presidents and politicians in more than 10 countries were sentenced to jail. The challenges of a complex and multi-jurisdictional investigation and the impact of its findings for accountants, attorneys and external auditors created a new paradigm for CFEs in Brazil, and the lessons learned can help CFEs around the world. The investigation included forensic technology tools, background searches, interviews, transaction tests, data analysis, reporting and a complex management system. Learn from the experience of someone who lived inside this turmoil for the last four years. 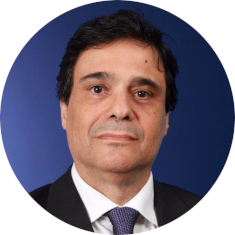 Marcelo Gomes is a KPMG partner for the Strategic and Compliance Risk practice and the country leader for the Dispute Advisory Services in Brazil. Gomes has more than thirty years of experience in fraud investigation, compliance, accounting expert witness and litigation support. His focus is in cases dealing with corporate occupational abuses, moral and sexual harassments, assessment, implementation, training and monitoring of compliance programs, as well as litigation support in commercial contracts, shareholders disputes, M&A´s post-closing disputes, and damages and losses evaluation. He has extensive experience coordinating engagements in major projects with Brazilian or transnational companies. His experience includes different industries like infrastructure, insurance, energy, health care, financial institutions and telecommunications. Bruno Massard is a director in the Strategic & Compliance Risk Practice. 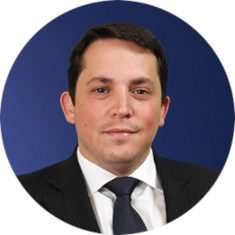 Bruno joined KPMG in May 2015 and has more than 13 years of expertise working with Brazilian multi-national companies. Massard’s experience includes auditing internal processes, reviewing and testing SOX controls, as well as corporate governance. Massard has extensive experience in leading fraud investigations, as well as anti-corruption compliance engagements, anti-bribery & corruption (“AB&C”) due diligence engagements and FCPA and UK-Bribery Act engagements. Massard is a Certified Fraud Examiner and also holds a specialization in compliance from FGV’s Law School and is certified by SSCE/CCEP-I. Additionally, he is licensed in EBANC/ DSC 10.000 (Brazilian compliance certification).